Deliveries of vehicles with installed ERA-GLONASS system are expected in 2019 only. German automaker BMW will resume supplies of all premium segment class vehicles to Russia despite compulsory installation of ERA-GLONASS urgent accident response system since 2017, BMW Group Russia Director Elena Smirnova said on Jan. 17. "We resume deliveries of all cars, received vehicle approval type for our modifications," Smirnova said. Models (cabriolets of Series 4 and 6, BMW M3 and BMW i8), whose deliveries to the Russian market will resume, will be imported under the currently effective certificate (without the certificate comprising ERA-GLONASS), Smirnova said. Deliveries of vehicles with installed ERA-GLONASS system are expected in 2019 only, she added. The Russian division of BMW refused to install ERA-GLONASS urgent accident response system on certain niche models earlier due to lack of economic feasibility. Vehicle type approval should be received in respect of new car models from 2015, press service of Russian regulator Rosstandart said earlier. The maximal term of the vehicle type approval is 3 years. 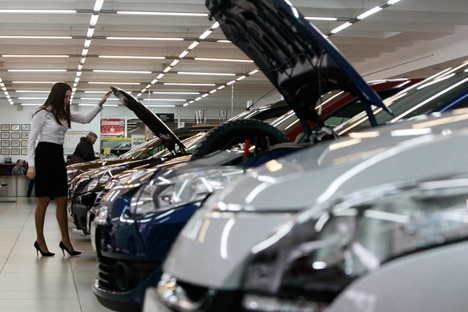 It means there is an opportunity to sell uncertified cars of certain models for one year more. Commercial operation of ERA-GLONASS urgent accident response system started in 2015. All vehicles produced in the territory of the Customs Union will be equipped with its terminals.